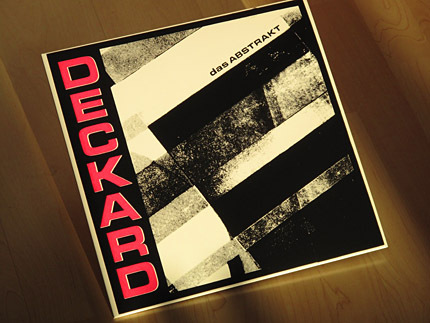 “das Abstrakt“, Deckard‘s premier official work, was originally released as a limited 150 copies vinyl 12″ in 2004. However, the now very collectable white label pressing didn’t remain unnoticed: magazines and websites in Germany praised the release and De-Bug even stated that it is “one of the very rare EPs that can rival early releases by (DJ) Vadim” and noticed the dense and complex beats Deckard is now known for. 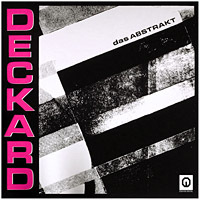 Furthermore, “das Abstrakt” led to various production works for a bunch of labels and also was the reason that Deckard got signed to Equinox Records to relase his follow up EP “Noir Desire” and the successful 2009 release “Future World“. Now, in 2011, we are proud to unleash this stunning EP on the Equinox imprint and make it available again worldwide. To support the digital release a super limited autographed reissue is available as well. The 40 hand numbered copies come along in a beautiful silk screen picture sleeve – a serious gimmick for all vinyl lovers and collectors.